We gather in worship to celebrate life, seek for meaning, and engage with the world more deeply. Worship creates connections within, among, and beyond us, calling us to our better selves, calling us to live with wisdom and compassion. Worship begins when the congregation is called to the sanctuary at 10:25 A.M., typically greeted there by our friendly ushers and our accompanist playing gathering music. The service begins at 10:30 A.M. with the opening hymn, generally chosen from one of the UU hymnals. The congregation is then welcomed. New visitors will be invited to rise briefly to share their names and where they’re from, if they would like to do so. The congregation will then extend the hand of friendship, a short period of time of convivial greetings shared over the rows and across the aisles of the sanctuary. The worship portion of the service then begins, including the lighting of the chalice, the symbol of the Unitarian Universalist faith. Another hymn typically follows. There may be a portion of the service during which congregants are invited to share joys and sorrows, lighting a candle in recognition of a very meaningful event or situation they encounter in life. 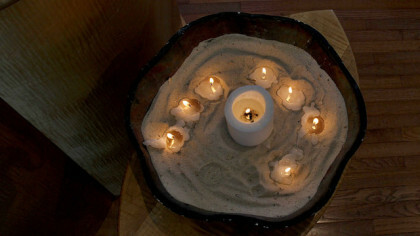 The service may also include inspirational readings, prayer, or either guided or silent meditation. The worship associate may offer a reflection on the theme of the service. The worship leader may offer a homily or sermon. The worship portion of the service is capped off by the offertory, during which contributions will be gratefully received to support the work of the church weaving a tapestry of love and compassion within and beyond its walls. Once a month, the collection plate is shared 50/50 with a social justice partner. A typical service ends with any important announcement there may be, a closing hymn, closing words and the extinguishing of the chalice. While most services follow this pattern, there are a number of special services during the year that vary from it, either a little or quite a lot. After each worship service, there is coffee and good conversation offered in Fellowship Hall. In addition, the lunch ministry invites participants to gather at a local restaurant afterwards, to continue the conversation and fellowship further.